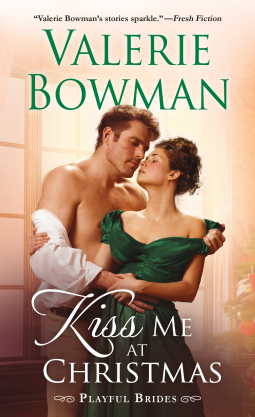 Kiss Me at Christmas by Valerie Bowman is full of action, mystery, risks, and romance. It was easy to fall in love with the characters. The bow street runner, is born in a position where most of society deems him unfit. But before that secret was let out, he was welcomed by all. That same man found his mom dead as a kid and knew his father and his wife were behind it. Daffin has proved himself in more ways than expected. Still felt like he has failed…only his heart’s attention still thinks the world of him. And that is what mattered all along. Love for the young couple featured in this story was a rough journey. Both were determined, strong, and clever. Their attraction was hot and sent sparks flying everywhere. I enjoyed the humor and the fun banters between both characters. Their friends were great to follow along as well. Overall, I became an addict when I started the first chapter. Now, I highly recommend this tale and beg for more by Valerie Bowman.